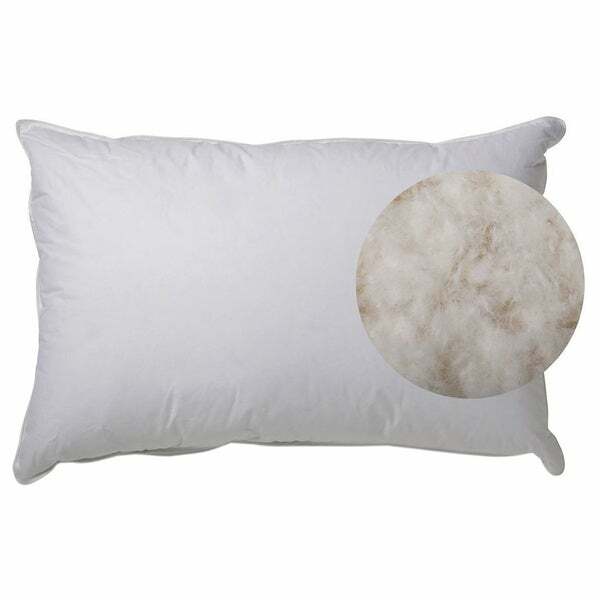 Exceptional Sheets White Goose Down pillow is a soft, luxurious pillow for a sound night's sleep. Stuffed with 600 fill power, the high quality goose down gives you the plush feel of feathers without any sharp poking. This comfortable pillow is encased in a 230 thread count cotton wrap which can be machine washed and dried. Not only are they luxurious but they help me sleep better. I highly recommend this product. This is a really nice goose down pillow. It does compress very easily, so you have to puff it up. But I like it. I mix and match pillows all the time. Finding the perfect one seems to be impossible. But if you like something to sink into, this is it. I had been using the same pillows for years. They were a nice goosediwn but had become flatter and flatter. I decided to upgrade and found these pillows. Quality good, price reasonable, and shipping prompt. They even included a thoughtful thank you card. In today's retail world it is not often a seller shows such a creative gesture to make the buyer feel appreciated. Best of all are the nights of blissful sleeps. Definitely worth the purchase. I want to order more of these!!! I have ordered so many pillows and even purchased some at the store but none compare to this one. I really wish I would have ordered more. I'm having a hard time finding this item again on overstock.com but will keep looking. This is the pillow I have been looking for very, very, very nice. These pillows are just alright. My husband and I use them while watching t.v. in the bedroom because they are just to firm to sleep with. "Is the pillow itself washable as well as the cover? Thank you." Hello succulent, this comfortable pillow is encased in a 230 thread count cotton wrap which can be machine washed and dried. Thank you for shopping with us. But is the 230 count wrap removable from the pillow? My husband sleeps on his stomach and he only likes white goose down pillows so he can arrange it the way he wants. Goose down is the only one he can do that with. Because Y'all told me it was a great purchase! Hopefully it was the truth.